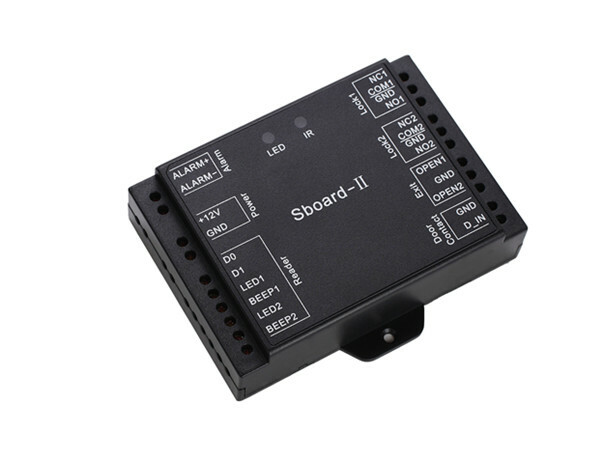 The ZOTER Sboard-II is a dual-relay door control panel, can work with any Wiegand 26~37 bits output reader. 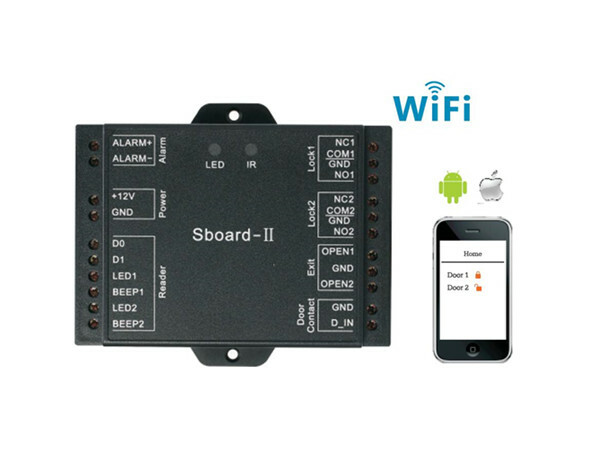 It uses Atmel microcontroller to assure stable performance, and equips with an infrared remote control and master cards for easy operation. 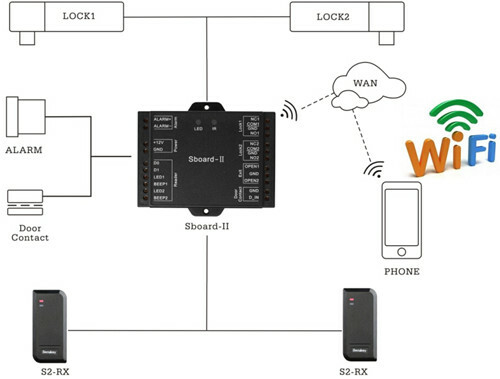 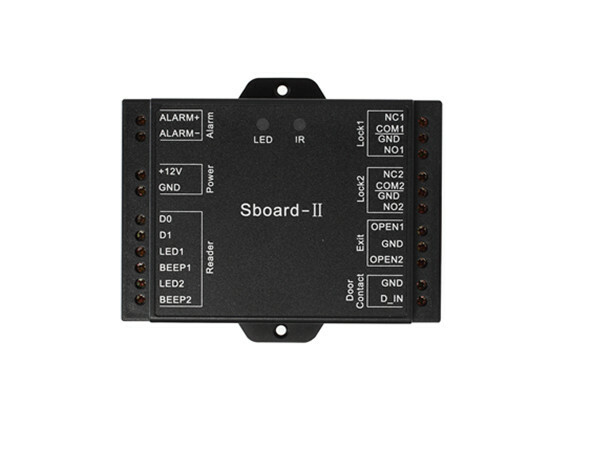 The Sboard-II supports 2100 users, all user data can be transferred.